No event will be more amazing than the Second Coming of Jesus Christ! 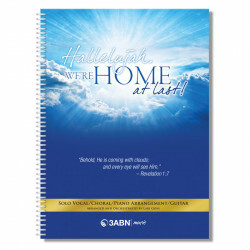 Your spirit will soar as you listen to these familiar hymns and brand new songs pointing to the soon return of our Lord. With beautiful orchestration by legendary arranger, Lari Goss, this album features the voices of Reggie and Ladye Love Smith, Danny Shelton, Yvonne Lewis-Shelton, Melody Shelton-Firestone, and John Lomacang. 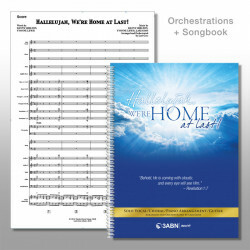 Also available in CD, USB, Piano and Vocal Book, and Orchestrations. Songs about the Second Coming of Jesus Christ!